This collection of essays brings together scholars of Irish and Scottish tourism history to chart a new comparative direction in research. 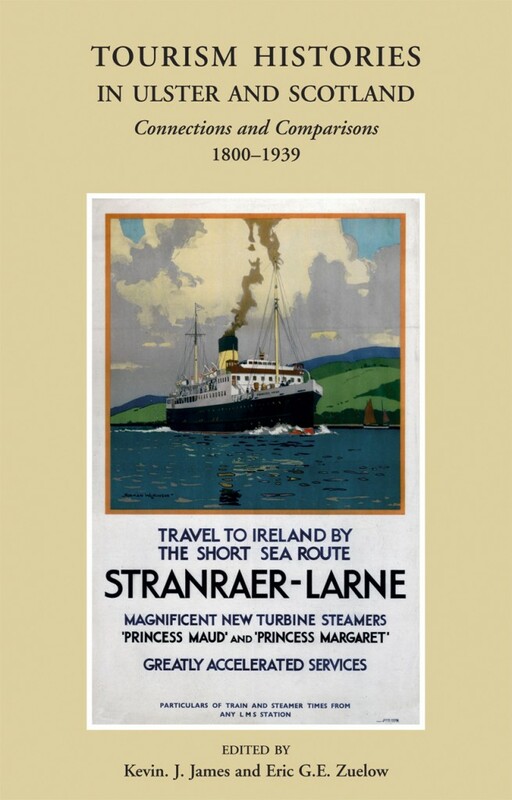 The long-standing cultural exchanges, economic linkages, and flows of people between Ulster and Scotland included, from the nineteenth century, extensive recreational travel across the North Channel. At the same time, cities, resorts, and tourist sites in each place vied for the tourist’s pound in the lucrative English market. Ulster and Scotland boasted a number of comparable sites – indeed Staffa and the Giant’s Causeway were often seen as part of a single ‘site’, and Co. Donegal was promoted to tourists as the ‘Irish Highlands’ – while numerous resort towns catered to heavy cross-channel traffic between the two places. Indeed, for some, Ulster and Scotland constituted a single regional tourist economy; for others, the two locations were fierce competitors. This collection includes overviews of each tourism sector, specific case studies that suggest the value of comparison, and several studies that examine institutional and even infrastructural linkages. Through these combined approaches, it shows that tracing the historical development of, and connections between, tourism in Ulster and Scotland yields important insights into the character of tourist development, and suggests the value of adopting a new spatial framework for exploring tourism history. Tourism Histories in Ulster and Scotland is edited by Kevin J. James, associate Professor of History at the University of Guelph, Ontario and Eric G.E. Zuelow, associate Professor of European History at the University of New England, Maine. Eric G.E. Zuelow is associate professor of european history at the University of New England in Biddeford, Maine. He is author of Making Ireland Irish: tourism and national identity since the Irish Civil War (2009) and editor of Touring beyond the nation: a transnational approach to European tourism history (2011). Zuelow serves as both deputy and reviews editor for the Journal of Tourism History. Kevin James is associate professor of history at the University of Guelph, Canada, and founder of the Tourism History Working Group. Author of Handloom weavers in Ulster’s linen industry (2007) and Tourism, land and landscape in Ireland: the commodification of culture (forthcoming), he also writes on comparative Irish and Scottish social history, with a focus on tourism, hotel history and the history of hotel albums. RRP: £11.99 | You save: £7.00!